The 2008 Ossetia War underlined the fact that Georgia is caught in a political struggle between East and West. Per Gahrton analyses American and Russian policy towards the country and provides a firsthand account of the Rose Revolution of 2003, its origin and aftermath. 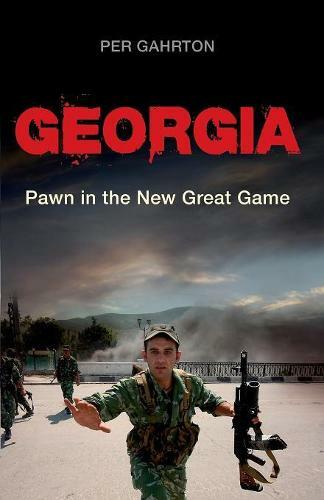 The book traces the increasing US involvement in Georgia and the Russian reaction of anger, sanctions and, eventually, invasion. Gahrton's analysis is based on interviews with key politicians and his experience as the rapporteur of the European Parliament on South Caucasus. At centre stage is the growing opposition against authoritarian aspects of President Mikheil Saakashvili's regime and the mysterious death of Prime Minister Zhvania in 2005. The book also asks if the Rose Revolution was a conspiracy or a genuine popular uprising. This truly authoritative account of Georgia is a must for students studying international relations in the aftermath of The Cold War.